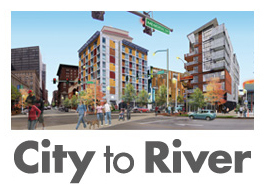 The Post-Dispatch reported recently that developers Steve Trampe and Jerry King will be taming up to redevelop the site with housing and possibly some commercial. According to the article, there is no definitive development plan for the site. The fact that the developer's plan to demolish the structure is interesting considering that it was Steve Trampe who renovated one of the toughest buildings (in terms of its condition and degree of difficulty) in recent memory, the Continental Life Building. 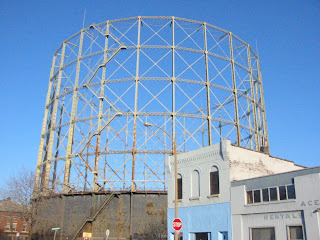 Admittedly, a gasometer is very different than a beautiful but derelict high rise office building, and it would take a great deal of creativity and ingenuity to adapt the structure for say residential use. 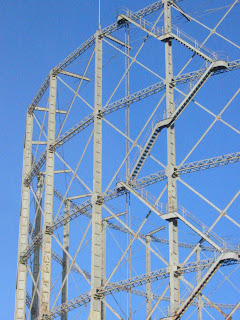 So what can you do with an old gasometer? 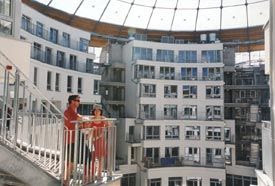 There are many examples of creative re-use out there, including this one in Vienna, which reuses the shells of four old iron and masonry gasometers. Here are a few photos from the web site about this project. Someday, people will realize what a great opportunity we have missed here. 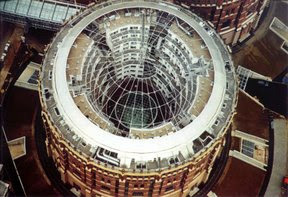 A circular high-rise apartment building inside of a restores gasometer would add an unusual visual flair to the city skyline. Other cities in the US would be jealous! How does St. Louis justify erasing its own uniqueness? Mike makes a great point. 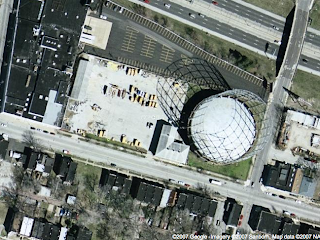 This is a very unique structure, and since it is not some detriment to the neighborhood, time should be given to discuss reuse. It is not in danger of collapse, so why don't we sit down and figure out the best solution instead of automatically taking whats offered? I love this thing and just took for granted that it would always be there. Now I know better. Do you know when it is scheduled to be demolished? 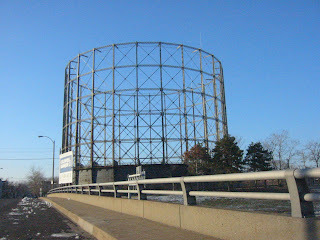 I appreciate your article on the structure--I always thought it was the shell of a former water tank. I didn't realize that the shell was actually the full structure. 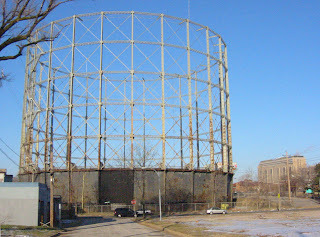 Hi, I just read this article and I am very curious - was the gasometer actually demolished? What is in the place now?